While the success of Somali government and African Union Mission in Somalia (AMISOM) offensives against al-Shabaab insurgent formations in central and southern Somalia is welcome, it has unfortunately resulted in the migration of beleaguered al-Shabaab fighters to the northern Somalia region of Puntland, an area offering superb refuges in rough terrain with only a lightly-armed paramilitary to defend the region, which has only been lightly touched until the last year by the fighting with al-Shabaab in the rest of Somalia. Puntland emerged as an autonomous region in 1998 in an effort to separate the largely peaceful north from the political chaos consuming central and southern Somalia at the time. Though it acts largely independently of the central government in Mogadishu, Puntland is normally a strong supporter of a federal Somali state with many powers devolved to regional administrations. The region has a population of roughly 4 million, at least half of whom continue to pursue nomadic lifestyles. 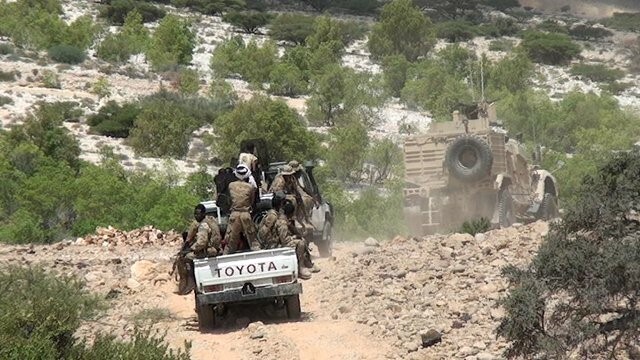 Al-Shabaab fighters have been reported pouring into the Galgala Hills, a remote region of Puntland 50 kilometers east of Bossaso (Puntland’s major port and commercial center) that has been the subject of a struggle for control between the Majerteen and Warsangali clans. The region was cleared of Shabaab-sympathetic insurgents with great effort last year but remains attractive to al-Shabaab as it sits outside the mandated range of African Union Mission in Somalia (AMISOM) operations in Somalia, though a UN spokesman has promised the organization is considering an expansion of its operational area (Reuters, May 7). On February 7, al-Shabaab gunmen in four cars attacked a military post in Bossaso, sparking a three-hour gunfight that left a number of terrorists and security personnel dead (Horseed Media, February 8, 2015). On April 5, gunmen attacked a security checkpoint near the Hotell Yasmin in the heart of Bossaso. Two militants and a soldier were killed (Somaliland Sun, April 6). On April 18, three al-Shabaab fighters attacked the Balade police station in Bossaso with RPGs. It was the second such assault on the Balade station in two months (Garowe Online, April 18, 2015). On April 20, a suicide bombing on a UNICEF vehicle killed four foreign UNICEF workers and two Somali security guards while sending a further six (including an American) to a Garowe hospital. It was the first such attack in Garowe, which is otherwise enjoying a wave of development. Following the attack, al-Shabaab spokesman Ali Mohamud Rageh vowed that his movement would continue its strikes against US agencies, accusing the UN of facilitating the “invasion” of Somalia and promising UN staff would “taste our bullets” (Horseed Media, April 23, 2015). On May 5, al-Shabaab claimed responsibility for a grenade-tossing attack on a police post in the port of Bossaso and a larger attack using RPGs and heavy machineguns against another police post at Yalho on the outskirts of Bossaso (Horseed Media, May 5, 2015). The latter post was briefly taken and three policemen killed before security forces retook it in a counterattack (Reuters, May 5, 2015). Members of Puntland’s parliament have also been targeted in a broader campaign of assassinations similar to those carried out previously by al-Shabaab in southern Somalia. MP Adan Haji Hussein was killed in April while the latest such death was that of MP Saeed Nur Dirir, a close ally of Puntland’s president, Abdiweli Mohamed Ali ”Gaas” (Garowe Online, May 8, 2015). The political chaos in Yemen, a short distance from Puntland, is also complicating Puntland’s security situation, with refugees, arms, escaped prisoners and possibly even fighters making the short trip by boat across the Gulf of Aden to Puntland. Some 2,000 refugees have arrived in northern Somalia so far, though UN experts expect as many as 100,000 more in the next few months, a number that simply cannot be accommodated by northern Somalia’s meagre resources. Beside fears that militants might use the exodus to infiltrate Somalia, the fighting in Yemen has collapsed markets for Puntland goods there, including markets for the all-important fish industry (Raxanreeb, April 19, 2015). Puntland authorities have lately the appearance of using a firm hand in dealing with al-Shabaab terrorists – in mid-March, three men suspected of planning and carrying out terrorist attacks in Puntland were executed by firing squad only days after a quick trial (Horseed Media, March 16, 2015). According to sources in Puntland, the three were among dozens of al-Shabaab suspects who have been handed death penalties, life imprisonment or lesser terms (Garowe Online, March 16, 2015). However, a report by the UN’s Monitoring Group on Eritrea and Somalia issued last October raised serious questions regarding the determination of the Puntland regime to address the al-Shabaab threat. The report notes the impediments thrown up by the administration (particularly the office of the president) to UN efforts to investigate the growth in al-Shabaab activity in Puntland, suggesting that this “is indicative of its unwillingness to robustly address the threat of al-Shabaab.” The report further suggested the government of President Abdiweli Mohamed Ali had adopted a “catch and release” policy respecting al-Shabaab suspects, allowed the infiltration of its security services and had even intervened in the prosecution and detention of al-Shabaab members. On February 22, deputy commander-in-chief of police Mohiyadin Ahmed Aw-Musse was sacked by the Puntland president after expressing his fury with the quick release of al-Shabaab members collected in a security sweep, some of whom were allegedly freed by presidential decree. Having been the target of al-Shabaab assassins only two weeks before in an attack that killed two of his bodyguards, Aw-Musse’s displeasure with such policies was understandable. Puntland Intelligence Agency (PIA) director Abdi Hassan Hussein was also fired on February 22 (Garowe Online, February 22, 2015). Most of the counter-terrorism work in Puntland is handled by the American-trained Puntland Intelligence Agency (PIA), formerly the Puntland Intelligence Service (PIS). Puntland also relies on a frontier paramilitary of roughly 7,000 men known as the Puntland Dervish Force, some of whom have received training in Uganda. Regular payment of security forces remains a problem, leading to frequent strikes by police and troops (Garowe Online, January 26, 2015). Despite these problems, Puntland has agreed to commit 3,000 of its troops to the growing Somali National Army (Reuters, May 7, 2015). Some of the arms used by al-Shabaab appear to be imported through the Berbera port in neighboring Somaliland (a self-declared but unrecognized independent state), a traffic that Somaliland officials claim to be trying to stop, though Puntland officials routinely accuse Somaliland (with whom they are engaged in a bitter and long-standing territorial dispute in the Sanoog-Sool-Cayn region) of supporting al-Shabaab (Raxanreeb, January 30, 2015). Though several top al-Shabaab leaders have hailed from Somaliland in recent years, no evidence has been produced that these leaders have or had any connection to Somaliland authorities. According to the chairman of Kulmiye, the ruling party in Somaliland, Puntland accuses Somaliland of supporting terrorism “only to conceal its [own] security failures” (Somaliland Sun, February 21, 2015). The obsession of Puntland’s authorities with Somaliland hinders the development of accurate intelligence regarding al-Shabaab’s true aims and activities, while accusing Somaliland of backing al-Shabaab prevents the resolution of the territorial dispute between the neighboring administrations. Puntland intelligence assessments tend to be heavily clouded by dislike of the Somaliland leadership. Bossaso, due to its importance as a port with connections to Yemen and its proximity to militant bases in the Galgala Hills, will continue to experience a high degree of insecurity until superior military forces can undertake clearing operations in the region while securing entry points, a considerable but not unsurmountable task with some foreign logistical, surveillance and intelligence assistance. If al-Shabaab’s shift north is to be halted, close cooperation will be required between the security forces of Mogadishu and Garowe, cooperation that is threatened by yet another territorial dispute in Puntland’s southern Mudug region, where authorities are working to form a new federal state in combination with the neighboring Galgudud region (a stronghold of the Sufi militia Ahlu Sunnah wa’l-Jama’a), a process strongly opposed by the Puntland government and even by many residents of the Mudug region. Somalia’s al-Shabaab movement was incorporated as a new regional chapter of al-Qaeda with the blessings of Ayman al-Zawahiri in February, 2012. 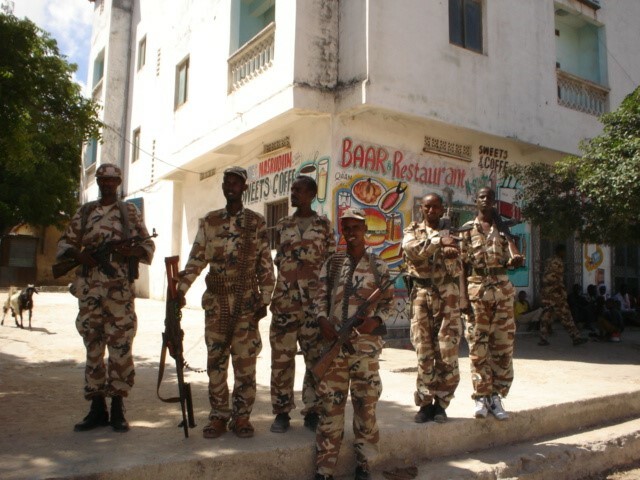 Faced with increasing military opposition and severe blows to its revenue streams, al-Shabaab faced the options of gradual annihilation in the field or scaling back operations to a more asymmetric model based on a diminished interest in holding territory and a greater use of terrorist tactics in an expanded zone of operations, one that includes Somalia’s neighbors and might possibly reach to the foreign supporters of Somalia’s national government and the African Union Mission in Somalia (AMISOM). The Westgate Mall attack in Nairobi and a series of terrorist strikes in Somalia suggest that al-Shabaab is undergoing a tactical and organizational shift designed to centralize command of the movement as it de-emphasizes guerrilla warfare in favor of suicide bombings, assassinations and other terrorist operations. Following the devastating loss of both Mogadishu and Kismayo, al-Shabaab finds itself operating in an ever more restricted space, with the only urban centers of any importance still under their control being the port of Barawe in Lower Shabelle and the town of Badhere in Gedo region. According to the Somali Minister of Defense, Abdihakim Haji Mohamud Fiki, al-Shabaab’s military strength has been heavily weakened, leading the movement to carry out a series of desperation attacks. Al-Shabaab has faced an internal challenge as well, after movement leader Abdi Godane began a purge of internal opponents and suspected spies, centralizing command under himself in the process.Godane relies these days on a combination Praetorian Guard and secret service known as Amniyat to provide personal protection and enforce his will within the movement. Amniyat is already organized in a cell structure that would readily lend itself to a shift to purely terrorist tactics should Shabaab be driven from the field. Amniyat created a split in al-Shabaab during the fighting in Mogadishu when it began killing wounded Shabaab fighters from the southern Bay-Bakool region to save the movement the trouble of looking after them. Amniyat’s assassination of movement notables like Ibrahim Haji Jama, Omar Hammami, Osama al-Britani (a.k.a. Habib Ghani) and Abdihamid Hashi Olhaye (Moallim Burhan) has created divisions within the movement at a critical time; in early November (Nov 10) at least ten Shabaab militants were killed in what was described as heavy fighting that occurred when one al-Shabaab faction attacked Godane loyalists in the Lower Shabelle region. Elements of the Hizb al-Islam faction that merged with Shabaab in 2010 are now rethinking their commitment to jihad after the surrender of their leader Shaykh Hassan Dahir Aweys to government forces, Aweys preferring surrender rather than face assassination by Godane’s gunmen. There now appears to be a split in the remains of the original group, with one faction of Hizb al-Islam renouncing violence in favor of talks while another faction rejects any such notions. In the face of pressure from powerful Hawiye clan elders, President Hassan Shaykh Mohamud has indicated that Aweys, a member of the Hawiye, could be released if he renounced violence and distanced himself from al-Shabaab, a step the shaykh appears unready to take yet. Otherwise the former Hizb al-Islam leader may face a military court. Another leading Shabaab commander, Mukhtar Robow (a.k.a. Abu Mansur), has fled Godane’s assassins to take refuge with his Rahanweyn clan. His loss is important, as his troops from the Bay-Bakool region were personally loyal to him and formed a significant part of Shabaab’s total manpower. The remaining Shabaab leaders still in the field all face the danger of being hunted by American drones running out of Ethiopia and Djibouti. Though there are reports that al-Shabaab profits from the production end of the charcoal industry, the Kenyan military estimates that their incursion into southern Somalia has disrupted 75% of al-Shabaab’s revenue stream, mainly by ending Shabaab control of the important southern port of Kismayo. However, control of the charcoal trade from Shabaab-held Barawe is still worth millions of dollars each month. Eliminating or even restricting Shabaab’s sources of financing will do much to diminish their military strength – as we have seen throughout this conflict, there is a certain mobility on the part of fighters when either side has demonstrated an inability to meet its payroll. While al-Shabaab may seek to impress Gulf region donors with terrorist attacks like that on the Westgate Mall, it risks at the same time the loss of diaspora donors who are morally opposed to such attacks or who are unwilling to risk prosecution for funding a group that can no longer be described by its diaspora backers as “a national resistance movement opposing foreign occupation.” Between the movement’s open declaration of allegiance to al-Qaeda and its headline-grabbing terrorist attacks, such evasions are no longer tenable. An attack on the Beledweyne police station followed by a general assault on November 19 killed 28 people. A UN Security Council report issued last July suggested that al-Shabaab has “preserved the core of its fighting forces and resources” by avoiding direct military confrontations. Nevertheless, if al-Shabaab are entering lean times, it will be difficult to hold the group together as many of its fighters consider the economic opportunities the movement offers to be as appealing as its ideology. In October, UN deputy secretary general Jan Eliasson assessed the progress of the African Union’s mission in Somalia, or AMISOM, saying that the offensive that began in August 2011 with the withdrawal of al-Shabaab from Mogadishu had “ground to a halt” because of a shortage of troops to exploit successes in the field. In mid-November the Security Council addressed the issue, authorizing the deployment of an additional 4400 African Union troops, bringing the size of the force up to 22,100 troops. The Council also approved the use of 12 military helicopters from troop-contributing countries. After a period of 18 to 24 months, the Security Council hopes to hand over security operations to the Somali National Army and a UN peacekeeping force. However, it must be remembered that mere authorization does not translate to troops on the ground – it took three years for AMISOM to raise its forces to the previous authorized level of 18,000. It can only be hoped that the response will be quicker at this crucial time rather than allow al-Shabaab the opportunity to regroup and reorganize. AMISOM’s reputation has improved greatly since the Shabaab withdrawal from Mogadishu allowed the mission to begin humanitarian operations. During Shabaab’s occupation of the city, AMISOM frequently came under local criticism for its careless use of retaliatory fire when responding to Shabaab attacks. The 960 man Somali-speaking police and military contingent from Djibouti has had notable success in its deployment in the Hiraan region, but there is a limit to what that small nation can provide. The addition of helicopter-gunships and surveillance aircraft would greatly enhance the effectiveness of AMISOM operations in territory now held by al-Shabaab. The use of Kenyan Air Force fighter jets in southern Somalia has been an important factor in driving al-Shabaab from their former bases there. The other component of AMISOM’s mission is providing training and assistance in the creation of professional Somali security forces that can take on a greater share of responsibility for internal security. Ethiopia is considering joining AMISOM, which would greatly enhance the operational ability of the force in squeezing Shabaab forces from the Somali interior. Having already lost vital revenues provided by the movement’s control of the markets of Mogadishu and the port of Kismayo, Kenya’s support for a new, autonomous administration in southern Somalia threatens to deprive Shabaab of operational mobility in one of its last strongholds. Unable to confront Kenyan troops in the field, al-Shabaab’s strategic response was the formulation of a devastating strike at a soft target in the heart of Kenya – Nairobi’s upscale Westgate Mall. The Westgate Mall attack did not come out of the blue – over a dozen grenade and IED attacks have occurred since the Kenyan intervention in Somalia began. Most of these incidents have caused few casualties, leading to a senior Shabaab official telling his Kenyan associates to “stop throwing grenades at buses.” Westgate appears to be the result of top Shabaab planners taking over operations in Kenya to produce the kind of mass-casualty attacks they desire. As al-Shabaab hoped, some Kenyan opposition politicians have called for a withdrawal from Somalia following the Westgate attack, but Nairobi is unlikely to pull out unless it is satisfied the Somali government can provide adequate security in the border regions. This proposition still seems far off at present, suggesting that Kenya will maintain both political influence and a military presence in southern Somalia for some time. A new security concern is created by Kenyan plans to build a new rail and pipeline corridor carrying oil from South Sudanese and Ugandan sources to the port of Lamu, less than 95 miles from the Somali border. Al-Shabaab did not obscure the motive for the Westgate attack by offering to negotiate at any point during the standoff. The attack was solely retaliation for Kenyan interference in Somalia with the purpose of influencing public opinion against government policy. The attackers had no expectation of survival – in fact al-Shabaab reacted with great anger to suggestions that any of them might actually have escaped. The loss of Kismayo was a severe blow to al-Shabaab’s financing and ability to re-supply, so Godane decided it was time for radical measures in the face of his movement’s obvious inability to expel the Kenyans by military means. Kenyan Defense Forces operating in Somalia were absorbed into the AMISOM command in February, though their efforts to create “Jubaland,” a semi-autonomous unofficial buffer state separating Kenya from the rest of Somalia have placed them at odds with the national government in Mogadishu, which is seeking unification of Somalia rather than its further division. Kenyan political and military support for the new administration of Jubaland has unfortunately given the latter the confidence to dismiss delegations from the national government in Mogadishu seeking to improve security cooperation. A long-term Kenyan presence in southern Somalia may eventually work against restoring security in the area as any situation that is viewed as a foreign, and especially Christian, occupation of Somalia will become a rallying point and recruitment tool for extremists. Al-Shabaab will also seek to rebuild its jihadi networks inside Nairobi and Mombassa, which have been greatly disrupted by Kenyan security operations in recent months. Beyond the AMISOM nations, Ethiopia has also been targeted for attack by al-Shabaab for its military operations in the Somali border regions. Tragedy was narrowly averted when two Somali suicide-bombers were killed when their bomb exploded prematurely on their way to a World Cup qualifying match in Addis Ababa. Last month Ethiopia’s foreign ministry said the nation should expect more such attacks. Only days before, an estimated 40 Shabaab members mounted an unsuccessful assault on the Bossaso Central Prison in Puntland’s capital. The attack coincided with the suicide bombing of the Maka al-Mukarama Hotel in Mogadishu. A culture of corruption continues to impede efforts to restore security to Somalia; in the annual rankings of corrupt nations released this month by Transparency International, Somalia ranks amongst the three worst, in company with North Korea and Afghanistan. Bribery and other forms of corruption allow Islamist militants to pass freely through security checkpoints designed to prevent attacks. Funds made available by donor nations often fail to reach the frontlines of the fight against terrorism – when police are paid erratically at best, they tend to feel it is their right to engage in corrupt practices. Bomb detection equipment is generally unavailable and the use of sniffer dogs runs counter to local cultural practice. Terrorist attacks are part of al-Shabaab’s decision to revert to a guerrilla/terrorist campaign in its currently weakened state, which largely precludes more conventional military operations of any size. Abdi Godane, has now made himself and the rest of the Shabaab leadership the targets of an international man-hunt that may well result in the ultimate death of the Amir and other movement leaders. Military pressure on the movement could foster further internal disputes over Godane’s controversial choice to take the movement in the direction of a globally-focused jihad closer to al-Qaeda Central’s concerns than those of more locally-focused Somali jihadists. With Kismayo taken, AMISOM’s next major target will be the port of Barawe, the site of October’s unsuccessful SEAL raid, intended to capture Ikrima, the suspected planner of the Westgate Mall attack. Barawe is believed to be a center for the training of suicide bombers and provides Shabaab with revenue from the charcoal trade. A joint offensive by Kenyan and Ugandan led forces would cut off Shabaab from maritime supply routes and link-up the northern and southern AMISOM groups. AMISOM is confident that force multipliers like helicopters and armored vehicles will allow it to finally destroy al-Shabaab as a military force in the field. However, even if military reinforcements allow AMISOM to resume its offensive against al-Shabaab, the movement could split into terrorist cells operating under Godane’s control in urban areas otherwise under Somali government control. Al-Shabaab forces still roam freely in many areas taken by AMISOM, speaking to the need to effectively garrison these territories. At the moment, AMISOM risks extending its supply lines in rural areas prone to ambushes. Paradoxically, the more weakened al-Shabaab becomes as an insurgent force, the more dangerous it will become as a terrorist group as it struggles to survive under Godane’s ruthless command. The ever-paranoid Shabaab chief will continue to search for spies in his command to avoid being targeted by American drones, though this hyper-vigilance may risk creating further internal splits in the organization. His personal control of the movement raises the problem of whether an effective replacement could be found in the event of his death and the possibility that other al-Shabaab factions might enter negotiations with the government. The question is whether a lengthy terrorist campaign could have the unlikely result of reversing Shabaab’s fortunes, or whether it would be ultimately self-defeating in a nation that is both exhausted by decades of warfare and largely uninterested in al-Shabaab’s religious leadership. Under military pressure from Kenyan forces, the African Union Mission in Somalia and various Somali militias and government forces campaigning in its traditional area of operations in southern Somalia, al-Shabaab has announced an expansion into Puntland, a semi-autonomous region in northern Somalia that has so far been better known as a center for offshore piracy than for Islamist militancy. Nevertheless, a dirty, low-level war of assassinations, bombings and clashes between Islamist gunmen and local security forces has been going on for several years. The announcement, which follows last month’s unification of al-Shabaab with al-Qaeda, came in the form of a proclamation from Yassin Khalid ‘Uthman (a.k.a. 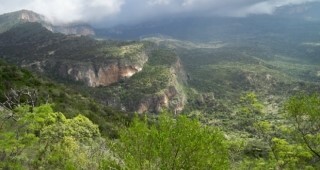 Yassin Kilwe Yuma), the self-described “Amir of the Mujahideen in the Golis Mountains [an area of caves and rough terrain in northwest Puntland]” that his fighters have joined al-Shabaab and pledged loyalty to its leader, Shaykh Ahmad Abdi Godane “Abu Zubayr.” The “Amir” was clear that his group was aligning itself with al-Qaeda: “I want to praise God for the unity of our Shabaab brothers with al-Qaeda fighters… I want to declare today that we are joined with our al-Shabaab brothers who are devoted to the jihad in Somalia” (al-Andalus Radio, February 26; al-Kataib Media, February 27). The new al-Shabaab/al-Qaeda chapter in Puntland may have announced its presence in a more material way on March 3, when at least nine people were killed at a Puntland security checkpoint near the commercial capital of Bosasso (25 miles from the Galgala region) during an attack by militants (Reuters, March 3). Yassin Kilwe is thought to be part of the Galgala militia that operates in the Golis Mountains in a diminished capacity since it was targeted by a three-month military offensive by the Puntland Intelligence Service. The militia, if not a formal part of al-Shabaab, has traditionally operated in sympathy with al-Shabaab’s objectives. Puntland frequently accuses neighboring Somaliland, with which it has several territorial disputes, of providing support for the Galgala Islamists, while Somaliland accuses Puntland of seeking military dominance in northern Somalia. The known leader of the Galgala militants is Shaykh Muhammad Sa’id Atam, who routinely denies any formal ties between his group and al-Shabaab, assertions that have been confirmed in the past by al-Shabaab spokesman Shaykh Ali Mahmud Raage “Ali Dheere” (VOA Somali Service, July 29). However, it was also Ali Dheere who welcomed the merger of the “Mujahideen in the Golis Mountains” with al-Shabaab (Dayniile, February 27).